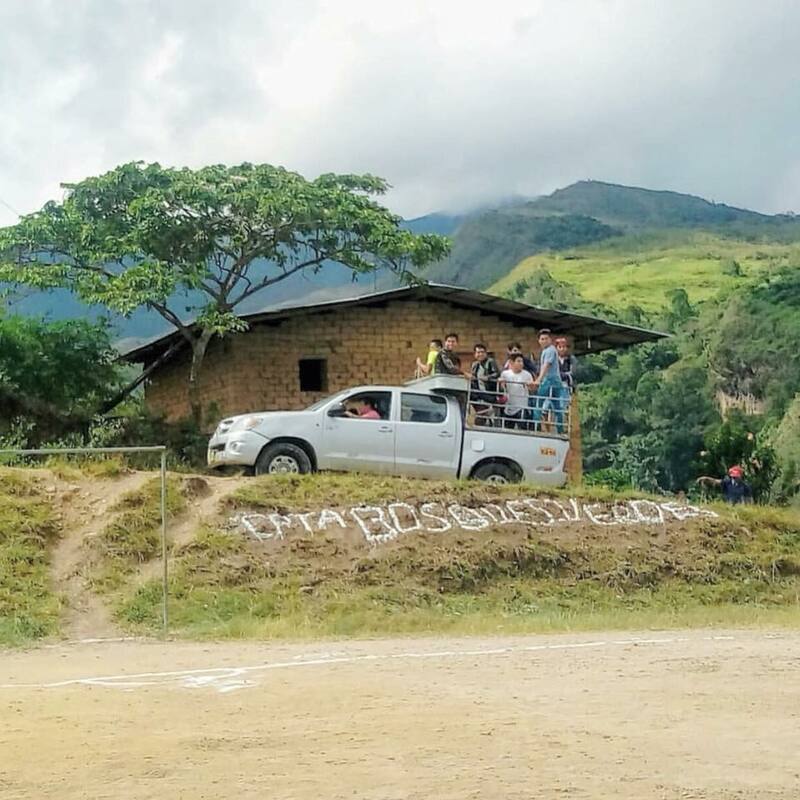 Zest, in collaboration with Creative Coffee Solutions and Langdon Coffee Merchants, are working with the hospitable team from Bosques Verdes Cooperative to seek out and share knowledge with the local coffee growers of San Ignacio. Cooperitiva Bosques Verdes (BVC) founded in 2005, is now made up of 265 coffee-growing families located in the last city of the Inca Atahualpa (San Ignacio - Cajamarca - Peru). A co-op is a socialist movement of sorts. To put simply, it works like this: In coffee growing areas a group of coffee growers, mostly made up of families, get together to form a co-op. The assembly of members (General Assembly) then appoint a General Manager to ‘manage’ the co-op. The idea is that the local coffee-growing families pool their harvest and the co-op work as a team to process and sell the product aiming for the best collective remuneration which is then divide among the assembly of members evenly. In the case of most co-ops, part of the money earned from the sale of beans will also go into training and equipment to expand the potential of the co-op. We began talking with Ernesto from BVC about the project a few months ago, and while at first he was a little hesitant, when he learned of our other flavour creating projects (PNG & Sumatra) and the outstanding lots we produced from the two projects, he became more interested. Fermentation experiments such as these are almost impossible for e co-op to imagine taking part in, simply because of the risk. To risk ruining an entire harvest on the odd chance you may raise the quality is something not taken lightly in a co-op ––which is understandable and beautiful. Which is why the exchange of knowledge is key to our trip. Also, we are absorbing all risk in the project, which is standard model for all of our endeavours. Specialty coffee has had a pretty quiet development in Peru, particularly in producing stand out, distinctive flavour, at the same rate as other South and central American countries ––Colombia and Brazil, two of the prime examples. While we don’t know much about Peru’s coffee what we do know is Peru, in particular, San Inganacio’s growing region seems typical for the equatorial belt and tropical environment (wet summer, dry winter, avg, temp. 24 degrees Celsius). We also know among the farms of the Bosques Verdes co-op they are producing are wide range of varietals, some quite well known and a couple more obscure. These factors were enough for us to believe we could produce a high scoring lot at the Bosques Verdes Coop. Armed with our knowledge from our previous projects in PNG and Sumatra, Project Raggiana and Project Wonosari, we’re confident in finding some outstanding flavour among these farms. While there, Rob and Darren intend to create 6 micro-lots using controlled fermentation ––an evolution to the techniques developed and implemented in PNG and Sumatra. Using the 6 lots we’ll explore low oxygen fermentation on washed, honey and natural processed coffee. The experiments will also include the use of 'starter cultures' to inoculate both pulped and uncoupled cherry as well as exploring other innovations such as feeding the microbial community with pulped cherry and also a sugar solution. What is a microbial community? Microbial relates to the micro-organisms, micro meaning small. A microbe is a very small living thing, in this case in a fermented product. Basically ‘microbial’ is every little thing in the mix. In a teaspoon of good soil there are 1million known microbes. That’s a big community. Imagine the changes that can be made by affecting that community with new sugars ––party time! We’ll give you a better rundown of the experiments themselves throughout the project, as well as the equipment we will be using and the conditions we’ll be working in. On completion we hope not only to bring back some exciting coffee, but some more knowledge on Peruvian coffee and culture. The magic of these projects is greatly in the relationships we make. In exchange for hosting us and sharing their culture, we’ll sharing with the co-op our knowledge and tools ––literally and philosophically ––to produce better scoring coffee, hopefully lifting the quality of livelihood for the community in San Ignacio and surrounding areas. Perhaps idealistic, perhaps just a great experience and a story for all involved, perhaps another way to bind us to the beautiful people of Peru, sharing knowledge and bonding over a collective love of coffee. However you see it, Project Bosques Verdes looks to be a promising adventure for Coffeekind. You can follow updates over on our Instagram and Facebook pages over the coming weeks while Rob and Darren are there. Stay tuned for stories and explorations in words + pictures while we uncover the magic of Peru. Welcome to Project Bosques Verdes!